#49363 - 12/16/03 01:32 PM KN7000 - Last Technics Keyboard ?????? What the heck is this all about ??? #49364 - 12/16/03 02:03 PM Re: KN7000 - Last Technics Keyboard ?????? but if it's true remain to see. so Neil may as well be right. #49365 - 12/16/03 02:44 PM Re: KN7000 - Last Technics Keyboard ?????? I just got the email too. I suppose if there's any truth to it ( and haven't misunderstood something), we'll have to start creating our own styles. Heck, they've certainly given us the onboard tools to do it. have I missed something??? has there been suggestions or rumors that the kn7 might be the last KN produced?? Would certainly make my hubby a happy man. Where exactly did you read this? Not that I think I would be dashing out to replace my kn7 anyway. #49366 - 12/16/03 03:57 PM Re: KN7000 - Last Technics Keyboard ?????? I've just come back home from playing at a gig and read the same email !! What does Neil know that others don't ?? #49367 - 12/17/03 12:10 AM Re: KN7000 - Last Technics Keyboard ?????? I agree with Gunner Johnny - it is very very very sad. I console myself with the fact that my KN7 still fulfills all my present needs and another make etc., would have to be SUPER SUPER SUPER to tempt me to part with it. #49368 - 12/17/03 01:58 AM Re: KN7000 - Last Technics Keyboard ?????? I got the email to. Maybe it's a marketing response trick from Neil to find out how many read his emails??? And it works, see all the reactions. #49369 - 12/17/03 03:48 AM Re: KN7000 - Last Technics Keyboard ?????? I have a different perspective to offer you. There WILL be a successor to the KN7000 and it WILL have new features that likely will make it attractive to buyers. Do I have inside information? No! But my common sense tells me that the obvious success of the KN7000 is enough incentive and justification for Panasonic to continue producing arranger keyboards for the foreseeable future. So take heart my friends. Trust me and get ready for the launch of a new flagship keyboard sometime in late 2004 or early 2005 - if not sooner. Panasonic is in the business of making money and their flagship keyboards are money makers. As for Neil Blake's comment, I, too, received his e-mail and I feel the same as you, Willem. It could well be a marketing ploy. 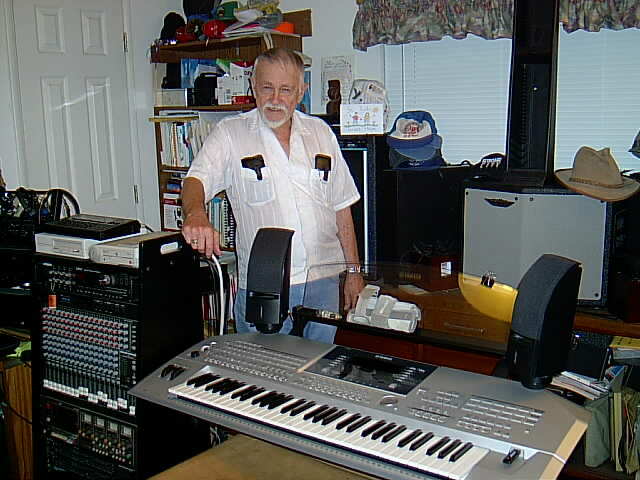 And anyway, even if Panasonic does not produce another arranger keyboard, Neil Blake will have plenty of incentive to continue offering styles, so the absence of a new keyboard is immaterial. As for me, if a new keyboard is not forthcoming I'll just go out and buy a KN7000 and be happy. Simple! #49370 - 12/17/03 11:26 AM Re: KN7000 - Last Technics Keyboard ?????? In the UK the whole of Technics Music Instrument department consists of just a few personnel. Considering the large size of the Panasonic Company overall the Keyboard side is such a small % of their business that it could be dispensed with completely without it having any major effect on Panasonics financial turnover. #49371 - 12/17/03 01:04 PM Re: KN7000 - Last Technics Keyboard ?????? actually Technics keyboards are kind of unique. Yamaha, Korg, Roland all have a large variety of proffessional musical instruments including synths, workstations , recording equipment etc etc whereas Technics ( as such )is limited to piano's & keyboards. Most people would probably associate Panasonic more with Tv's , video recorders, stereo's etc etc etc. Noticed something interesting on the main synthzone forum yesterday. Yamaha is bringing out a new keyboard ( PSR 3000) It's niche is somewhere in between the PSR 2100 (Yamaha's kn26 equivalent)and the Tyros ( Yamaha's kn7 equivalent). ie it's going to have 128 note polyphony compared to the cheaper psr2100's 64 note, plus a number of other goodies, but it's not going to have the Tyros's hefty price tag. What I'm getting at is maybe we're going get a new generation of keyboards. Something in between the kn26 and the kn7. Maybe some of the top end arrangers were getting too expensive and there was too bigger gap between it and the next model down( not only in price , but in features. I must admit I'd be loathe to trade my kn7 for a less expensive kn unless it still had all the features and quality of the kn7. In some ways I was dreading when D Day arrived, and the newest flagship of the range was unveiled, and then seeing our happy little kn7 group split up because some of us would upgrade and some wouldn't. Strange how times have changed for me since discovering Synthzone, when I look back, and remember how eagerly I used to look forward to each new generation of kn keyboard. #49372 - 12/17/03 02:07 PM Re: KN7000 - Last Technics Keyboard ?????? Here's a thought for you. is a merge likely? Makes you think doesn't it? #49373 - 12/17/03 08:16 PM Re: KN7000 - Last Technics Keyboard ?????? Aud! The cat is starting to pull at the strings of the bag. It will not be too long before you will see the cat spring out of the bag. When the spring comes all things begin to come to life. The life blossoms and in in it�s time comes the fruit. Oh how sweet it will be. Just wait and see! Riddle the fiddle and fiddle the riddle. Can you name the tune from the riddle? I can! Look at the wall, the handwriting tells it all! Borrowing a quote: Let those who can see, see and let those who have ears, hear!!!! #49374 - 12/17/03 08:32 PM Re: KN7000 - Last Technics Keyboard ?????? obviously our imaginations are running a riot. At times we just can't help ourselves, at least it keeps ye old brain ticking haahaa. #49375 - 12/19/03 01:29 AM Re: KN7000 - Last Technics Keyboard ?????? What is everyone afraid of? What difference does it make if the 7000 IS the last of the line. Surely it is good enough to last anyone a lifetime. It doesn't depreciate like my car does. What is this (modern?) idea that we must have something new every year or so? Is it just another sign of the "throw-away society". I challenge any member to say that they have already explored every facet of the KN 7000 and thus need another challenge. Long live the KN 7000!!!! #49376 - 12/19/03 04:03 AM Re: KN7000 - Last Technics Keyboard ?????? #49377 - 12/19/03 07:08 AM Re: KN7000 - Last Technics Keyboard ?????? started the KN7 exploring yet. reading by your posts here at SZ. #49378 - 12/19/03 07:25 AM Re: KN7000 - Last Technics Keyboard ?????? #49379 - 12/19/03 09:24 AM Re: KN7000 - Last Technics Keyboard ?????? I think that even Alec would have trouble substantiating his claim. Computerised equipment has a nasty habit of surprising even those who did the designing. #49380 - 12/19/03 10:20 AM Re: KN7000 - Last Technics Keyboard ?????? #49381 - 12/19/03 03:54 PM Re: KN7000 - Last Technics Keyboard ?????? are you actually considering taking the plunge and getting a KN7??? #49382 - 12/19/03 04:12 PM Re: KN7000 - Last Technics Keyboard ?????? If it truly is the last of the kn "top end arrangers" then it would become a "keeper". I believe we would all like to know Alec's opinion on this rumor, regarding the demise of high range Technics Keyboards. #49383 - 12/19/03 06:53 PM Re: KN7000 - Last Technics Keyboard ?????? Quote: �you imagine what you want to imagine, Mike, and I'll continue to know what I know�. By George Alec, I sure like your style!!! Ruthie was looking over my shoulder and messen with my hair as she was reading this thread with me and out of her cute little mouth drifted the very words I was thinking when I was reading your response. �You know hun, that�s one of the reasons I married you. You know what you think and you say what you know�. Maybe that�s why me and her been kinda close these many years. #49384 - 12/20/03 12:42 AM Re: KN7000 - Last Technics Keyboard ?????? news to come, but maybe it will be too long to wait? #49385 - 12/20/03 05:15 AM Re: KN7000 - Last Technics Keyboard ?????? that noone deny any of it, at least so far. probably nothing we can do about it anyway. post some of my reply was about. #49386 - 12/20/03 07:52 AM Re: KN7000 - Last Technics Keyboard ?????? Hang on to your KN 7000. It might just become a collectors item as well as a fine keyboard!! #49387 - 12/27/03 01:41 PM Re: KN7000 - Last Technics Keyboard ?????? What is different about the kn7000 is the expansion boards and SD cards. The amount of data and information that can be put in to the keyboard makes the possibilities endless. #49388 - 12/27/03 03:31 PM Re: KN7000 - Last Technics Keyboard ?????? What a sad state of affairs. Michie's just shown me your original message. Only three months ago we ditched our Panasonic keyboard and purchased (second-hand) a KN6000 from an old friend. We like it a lot and thought we would get, say, about 2 to 3 years use and then look for a second-hand KN7000. However, if what you've heard is true it must also mean that they'll be little if no technical support availible from Technics/Panasonic. Whoever reads this, take a piece of advice. If you do anything, at least subscribe to a user group such as this forum or to Techplus where, at least, you know you can get some form of assistance. I have only got one question. Why, when keyboard sales seem to be on the increase is such a marketing ploy being used? Are we being duped? #49389 - 12/27/03 04:10 PM Re: KN7000 - Last Technics Keyboard ?????? #49390 - 12/28/03 02:51 PM Re: KN7000 - Last Technics Keyboard ?????? #49391 - 12/28/03 03:31 PM Re: KN7000 - Last Technics Keyboard ?????? #49392 - 12/29/03 12:23 AM Re: KN7000 - Last Technics Keyboard ????? ?